and GET OVER $300 IN BONUSES, INCLUDING A 1:1 SESSION WITH ME! Or maybe you suspect or have confirmed you have candida overgrowth, and you’ve tried everything to get rid of it, but it just won’t go away? WHAT WOULD IT FEEL LIKE TO FINALLY GET RID OF CANDIDA FOR GOOD? I feel incredible. I knew I had gut-issues but didn’t realize how the symptoms like brain fog were impacting my daily life. I never experienced die-off but did notice when the herbs were working. This course exceeded my expectations. I am SO ready to get rid of Candida for GOOD! Includes over $300 of bonuses (including a 1:1 session with me) FREE when you sign up TODAY! HI THERE, I’M MARY, AND I’M A CERTIFIED NUTRITION CONSULTANT. I’ve been helping people (mostly women) overcome candida for almost 15 years now, so I know a few secrets about how to get rid of candida for good. I’ve also struggled with and successfully overcome candida myself, so I know how frustrating it feels to read all the conflicting info out there and try different methods only to have it come back with a vengeance. I was inspired to create this course because of the many emails I get on a DAILY basis from people desperately wanting help with candida overgrowth. Many of these people have been sadly dismissed by their doctors and told candida isn’t real, and their symptoms are all in their head. Not only is not this true, it causes even more frustration and a delay in treatment. Because I was getting flooded with requests for help with candida, and I couldn’t accommodate everyone in a timely manner (I am currently working through a months-long waiting list in my private practice), I decided to create this course to reach more people– all at once. I am a bit of a perfectionist and want to give everyone, regardless of whether you’re a group participant or a private client, the same access to my top notch care and protocols, so I designed this course with live classes and live Q&A sessions with me so you can learn from me directly AND gain access to my proven protocols that WORK. Gut health is the foundation for health, and so many people struggle every day with digestive issues such as bloating, pain, constipation, and fatigue. It’s no way to go through your day– or your life. If you’re serious about wanting to kick candida for good, you can get started with me and this course! I’m only accepting a limited number of participants so that everyone gets the personal attention he/she needs. Now is the time to join us if you want to participate! YOU CAN ABSOLUTELY RESTORE YOUR GUT HEALTH! When you sign up for the Candida MasterClass, you’ll get $300 in bonuses for FREE: a private 1:1 session with me AND a copy of 3 Weeks to Vitality, my recommended cleanse after you complete the program. You may think candida is all bad, but did you know it’s totally normal to have some candida living in your body? There are around 20 different strains of candida. 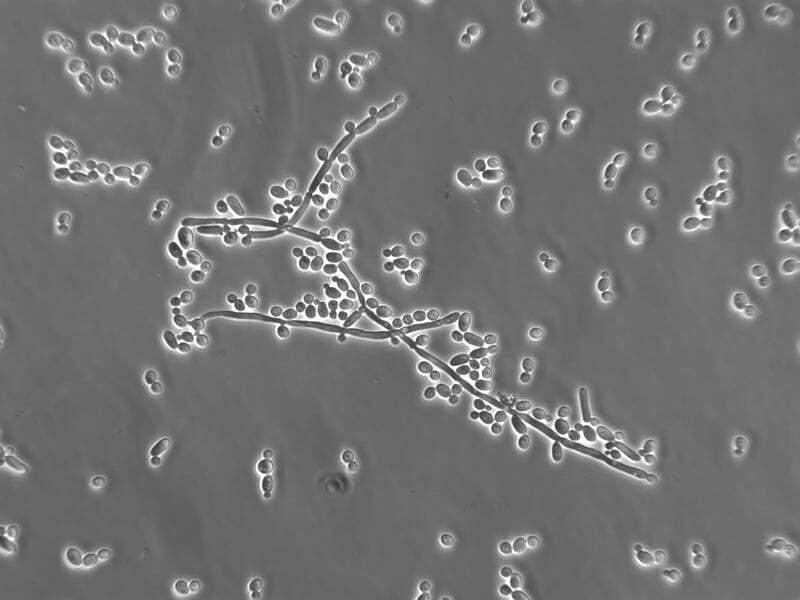 Candida albicans in the most common species and is one of the opportunistic pathogenic yeast strains in the gastrointestinal (GI) tract and mouth in 40 – 60 percent of healthy adults. Candida is usually commensal, meaning it makes up a normal part of the human GI tract, but it can become pathogenic and grow out of control under the right circumstances, like when your immune system is weakened or after a course of antibiotics. When it takes over and makes an unpleasant party in your gut, symptoms arise, usually bloating, sugar cravings, yeast infections, and fungal infections. The worst. Other contributing factors for candida overgrowth include excessive sugar consumption, pregnancy, use of birth control pills, heavy alcohol consumption, heavy metal toxicity, H. pylori infection, and chronic stress. If you have the chronic symptoms I mention above, you likely have candida overgrowth. The most common symptoms I see are recurrent vaginal yeast infections, skin issues, bloating and digestive issues, brain fog, and sugar cravings. You can also do a simple at-home stool test for candida. I let you know how to order the test I recommend in the course. Aside from FINALLY learning how to get rid of candida overgrowth the right way, you may also experience weight loss, clearer skin, better energy and cognition, elimination of annoying yeast infections, improvements in thyroid health, and better digestion; most often people notice a reduction in bloating and better poops. Many of my clients remark that they feel they’ve gotten their lives back. One participant in the last class said her brain fog disappeared and that she had forgotten she could feel so amazing! In addition to receiving my proven protocols and my support along the way, you’ll learn about how to heal your gut and why this is a critical step in reclaiming your health. I really enjoyed this 6 week program. I was struggling with candida and digestive issues with heavy brain fog. After following the Information that Mary provided with downloads and in the online classes and each week I was well informed and able to get relief thru her meal plans and supplement protocols. Mary was very accessible for any questions that I had during the course. Highly recommend this class. Thank you so much Mary! Fee for the 6 week course is $597. You'll also receive over $300 in FREE bonuses! You can ask your questions live (or pre-submit them). This is also a great opportunity to expand on topics we discuss in class. Not everyone’s candida diet will look the same! You’ll learn how to customize your perfect gut healing diet. Group Support! Access to our private Facebook group. Community support from other candida kickers! Ask questions, share pics of your meals (or your feelings). Ask me anything! I’m here to help. You’ll get a detailed blueprint of the class, protocols, and diet recs in the workbook. There’s an FAQ section to give you advice about everything from supplements to meal delivery services. You’ll receive information on how to order the most effective, practitioner-selected supplements to kick candida. Purchase supplements separately, costs run $300-$400. 4 weeks of meal plans in a beautiful recipe book with photos, prep directions, and a shopping list. PLUS bonus gut healing recipes! Delicious recipes including lasagne, tacos, smoothies, egg bakes, pudding, chow mein, butter chicken, vegetarian soups and more– all dairy and grain free! (note: there are many vegetarian and vegan recipes included in the meal plans, but I do not have a vegetarian specific meal plan at this time). If you sign up by 4/23, you’ll get a FREE 1:1 session with me + a copy of my 3 Weeks to Vitality ebook. I greatly appreciated this program! Mary created an easy to understand program to follow. I enjoyed the format with weekly educational modules and separate Q&A calls. The meal plan recipes were delicious and helped me really stick with the program. Mary was easily available to answer any questions I had about the supplements, protocol or general women’s health. I don’t think I realized how terrible I was feeling and functioning until after working with Mary. I highly recommend this class to anyone struggling with gut-issues. Thank you Mary! PLUS YOU’LL GET $300 OF BONUSES (INCLUDING A 1:1 SESSION WITH ME) IF YOU SIGN UP BEFORE 4/23! There are 6 modules in this course. In module one, you’ll get an overview of the 3 phase protocol to successfully kick candida, and you’ll learn what to expect for the next 6 weeks. We’ll talk all about your microbiome (the trillions of bacteria that live in your digestive tract and make up a large part of your immune system), and deep dive into candida land. In module two, we’ll get started right away with Phase 1, the candida diet. Learn what to eat and what to avoid (and WHY), and start learning how to customize your unique candida diet. In module three, we’ll talk about how to customize your candida program with supplements and herbs to effectively kill the overgrowth. In module 4, we’ll discuss how to heal your gut once you finish the herbs (the most overlooked step in kicking candida for good and the reason most people don’t succeed in getting rid of it) You’ll learn how to recolonize your gut so you have a shiny new GI tract. In module 5, you’ll learn how to reintroduce foods you have eliminated, how to curate the diet that’s right for you long term, and how to nourish your gut for the long haul. Module 6 is all about aftercare: We discuss how to stay healthy after the program and the importance of sleep and stress relief. We also touch on the endocrine system–thyroid and adrenal health–and how candida affects hormone balance. This is another commonly overlooked step in preventing recurrence. This course isn’t just about candida; you’ll gain so much knowledge about gut heath, your microbiome, how to heal your gut, and how to make sure candida overgrowth doesn’t come back to haunt you—ever again. The process is divided into three phases: the diet, supplement protocol, and the gut healing phase. You’ll learn what to eat, what supplements to take and how, and how to heal your gut + aftercare, including the important of sleep, stress relief, and hormone balance. This course will teach you how to determine the perfect anti-candida diet for your body. Your diet won’t necessarily look like someone else’s because we all have different physiological needs. The meal plans and recipes were great and very much appreciated. Thanks for offering this and for your support. I will recommend this course! All you need to do is click the button below, and you’ll be instantly enrolled! WHAT MAKES THIS COURSE DIFFERENT THAN OTHER CANDIDA COURSES? Good question! The main difference is my course offers you LIVE educational classes with me that not only teach you how to kick candida, but you’ll also learn all about gut health and how to heal your gut for good. In addition to the live course material, you’ll also have an opportunity each week to join me on a live Q&A call for discussion and to answer questions. So this course is not just a kill-candida-in-a-box type deal with no support. You’ll have 2 live calls per week AND access to me in our private facebook group where you can ask questions and get support and ideas from other participants. Not to mention that I’ll help you customize your unique candida diet to ensure success. You of course do not have to participate in any discussions or join in the facebook group if you’d like to be anonymous. A complimentary and private 1:1 session with me to be used within 6 months. If you decide to do any gut testing, this is the perfect opportunity to have me review your test results and give you even more personalized feedback. You’ll also receive a copy of my ebook 3 Weeks to Vitality (which is a recommended part of the course). Free bonus gut healing recipes, to which you’ll have access immediately when you sign up. You will also need to purchase the recommended supplements separately (total cost for those is $300-$400). If you were to work with me privately, your cost would be over $2,000 (not including supplements or testing), so this is an awesome deal. Please note that this is a virtual course. You will not receive any tangible products in the mail. You will receive information about a members-only log-in to retrieve course materials. Feel free to contact me here if you have questions or to see if the course is a good fit for you. Q: Can I join this course from anywhere in the world? A: yes, you do not have to live in the US to join. There may be some slight differences in the recommended supplements, but you can still order everything you need with a few modifications. Q: Do I have to be present for all the live classes? A: No, each class will be recorded. You do not have to participate in any discussions if that’s not your thing. Q: When do the classes take place? Q: Can I go at my own pace? A: Yes, you can pace the course however you’d like. In fact, some people choose to absorb all the information before they even start their candida program. You’ll always have support in the facebook group. And you can take as long as you need to watch the training videos. Q: What kind of diet will I have to follow? A: You will need to avoid certain foods like gluten, processed foods, and refined sugars at the least. I also recommend most people avoid legumes, grains, and dairy, but the diet varies a bit by individual. Q: What do I receive when joining the program? 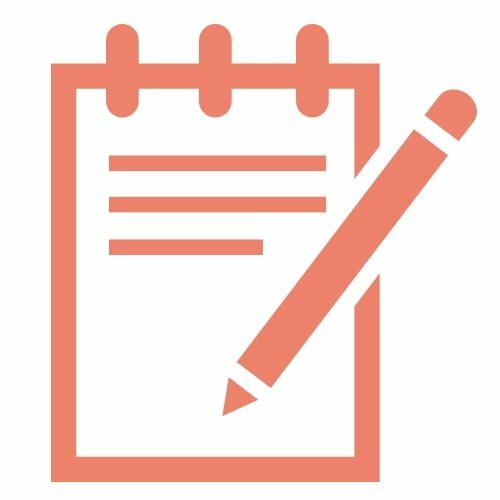 A: You will receive access to a members’ area with all the materials you’ll need to follow the course: workbook, meal plans, and the videos will be uploaded there weekly. 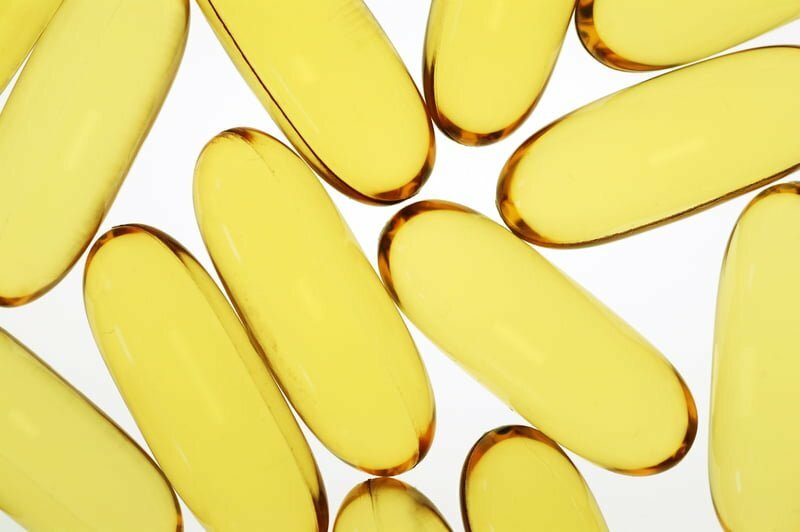 Supplements are not included in the cost and must be purchased separately. I provide you with all the info you need to order supplements. You will also gain access to our private facebook support group. Q: What do I need in order to participate in the course? A: All you need is an internet connection and a (preferably) computer. If you don’t have a computer you can use a smart phone. Q: Do I need labwork to join this course? A: No, but I include info on how to order testing if you wish. It does help. Q: Will I have lifetime access to the materials and the facebook group? A: Yes, the materials are in a members’ area to which you will have access. Q: Can I do this program if I’m a vegetarian? A: Yes, but I do not have a full vegetarian meal plan at this time. There are meatless dishes included, however. Q: Will I get meal plans and shopping lists? A: Yes, I provide you with a 4 week anti-candida meal plan + shopping list and recipes with photos in a beautiful ebook format. Q: How much do the supplements cost? A: Plan to spend $300-$400 on the supplements you’ll need for the program. You must order the supplements to ensure success, but I can help you work within your budget. Q: How long are the classes? A: Each class lasts about an hour or less. Q: What kind of support do you provide? A: I am available for questions in our live Q&A class and in our private facebook group. Q: What happens when the course is finished? A: You will always have access to the facebook group, and I’m working on providing an “aftercare” type support plan for those who are interested. Q: What if this program doesn’t work for me? Can I have my money back? A: If you followed the recommended program and were unsuccessful, I can help you troubleshoot what may have gone wrong or recommend further testing. I will offer you a refund within 30 days if you determine the course isn’t a good fit for you and can explain why. A: You can, but you cannot take many of the recommended candida-killing supplements until you are finished nursing. Q: Can children do this program? A: This program is designed for people over the age of 18. Q: Who are you and do you know what you’re talking about? A: You can read all about me here, and you can read about my coaching practice and philosophy here. Make sure to check out all the kind words my clients have to say about me! Disclaimer: This is a virtual course only. All content is delivered online except the supplements, which you must order. These statements have not been evaluated by the Food & Drug Administration. This product is not intended to diagnose, treat, cure or prevent any disease. The information contained herein is for informational purposes. Consult your physician for any health problems or before starting a new program.